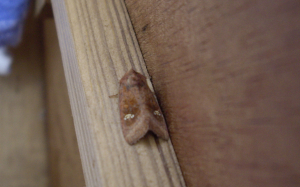 Observation - Ear Moth and a Square-spot Rustic Moth - UK and Ireland. Description: Not finding moth identification that easy, Are these two moths Chestnuts? Not finding moth identification that easy, Are these two moths Chestnuts?